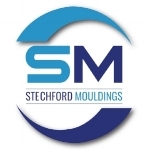 Stechford Mouldings Ltd are a leading manufacture of Thermoset, Thermoplastic and Compression moulded plastic components. Operating in the West Midlands for over 80 years, we’re proud to have one of the largest ranges of Thermoset and Thermoplastic Injection machines and Thermoset Compression presses in the UK. Operating on a 24/7 basis, with a team of over 140 specialists delivering precision plastics components to a varied range of industries world-wide. Our modern manufacturing facility makes us a “first choice” moulder for many “blue chip” companies requiring a reliable supplier for all their plastic mouldings. We provide a complete service, consulting with are clients from “day one” to ensure that the whole manufacturing process can be tailored to meet their exact requirements. From the initial enquiry, through to delivery of the finished goods, we ensure we meet all other clients’ needs and expectations. Our services range from moulding, technical tool design and tool making, right through to fully finished and assembled products to suit any application. Furthermore, our supply chain team can take care of materials procurement, stock management and logistics as required. We take pride in our vast experience of engineering plastics. Our technical team have a wide and varying knowledge of many grades of material, such as DMC, Phenolic’s, Urea’s, Nylons, Polycarbonates, Peek and Glass Filled Technical Polymers etc. This broad understanding ensures we always select the correct material for your project. At Stechford Mouldings we produce moulded components for a wide cross-section of industries including Automotive, Aerospace, Medical, Electrical and Consumer Industries. Our operations are supported by a mature infrastructure, refined over the past 80 years. We have, in total, some 36 plastic injection moulding machines, ranging from 40t to 300t, some with press mounted robots. 38 compression presses ranging from 16T up to 400T and ancillary equipment. As a result of continued success and growth, we have recently acquired a new 35,000 sq ft facility, which we are transforming into a state-of-the-art production operation. This multi million-pound investment will allow us to use the latest “lean” methodologies to fine tune our manufacturing process. As well as our UK manufacturing plants, we also have production and holding facilities in Singapore. This enables us to offer the same, high-quality technical thermoset & thermoplastic mouldings service to our global customers. For more information about our work, browse our services, or get in touch to arrange a consultation with our team.